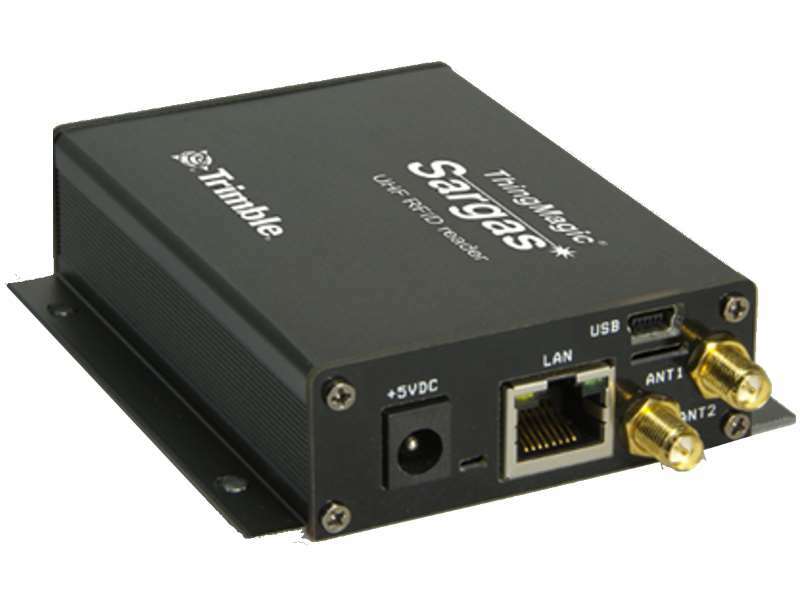 ThingMagic Sargas UHF RAIN RFID reader is a high-performance, 2-antenna-port with RP-SMA and HDMI connections , networked, UHF reader in a low profile enclosure.Built around the ThingMagic Micro reader module, the device reads more than 750 tags per second at distances over 9 meters (30 feet) when configured with appropriate antennas. Reads more than 750 tags per second at distances over 9 meters (30 feet) when configured with appropriate antennas. Suitable for many regions including: USA-FCC, EU-ETSI, KCC, TRAI, ACMA, SRRC regulatory specifications. With an onboard processor, memory and removable flash storage, the reader has features designed for enterprise applications, and easy system integration. The Sargas reader is preconfigured for most regions in the world including the Americas (FCC / IC rules) Europe (ETSI rules) India (TRAI) Korea (KCC) Australia (ACMA) China (SRRC-MII) and Japan (MIC). The reader also has a customizable option to accommodate other areas and research applications.